When I was little, I remember watching in the Discovery Channel that zebras had stripes because when a predator looked at a zebra herd, it could not differentiate the individual from the herd, because of the inability occuring due to the colour blindness associated with the predator . 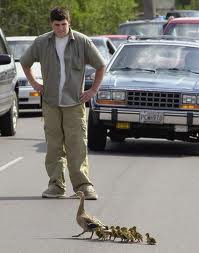 Similarly, when a vehicle driver, sees a lot of people crossing the road together, he slows down, due to the herd like behaviour of human beings , where as when he sees a single person crossing the road, due to distinguishibility, he rarely slows down, unless the person is in a strikable distance from the vehicle . 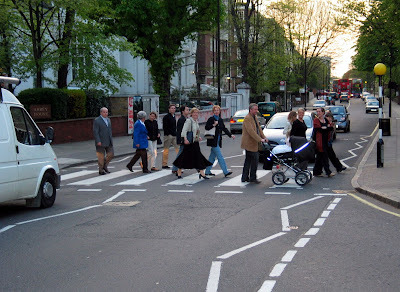 Also, when you look at the red light provided to stop people crossing as and when they feel like, the light also serves to accumulate people to behave herd-like. Also, the presence of "Zebra"- crossing is a mere indication of what the lights signify. Unforgettable IISC - The Final year project. An Eccentric's look into reality of time machine.